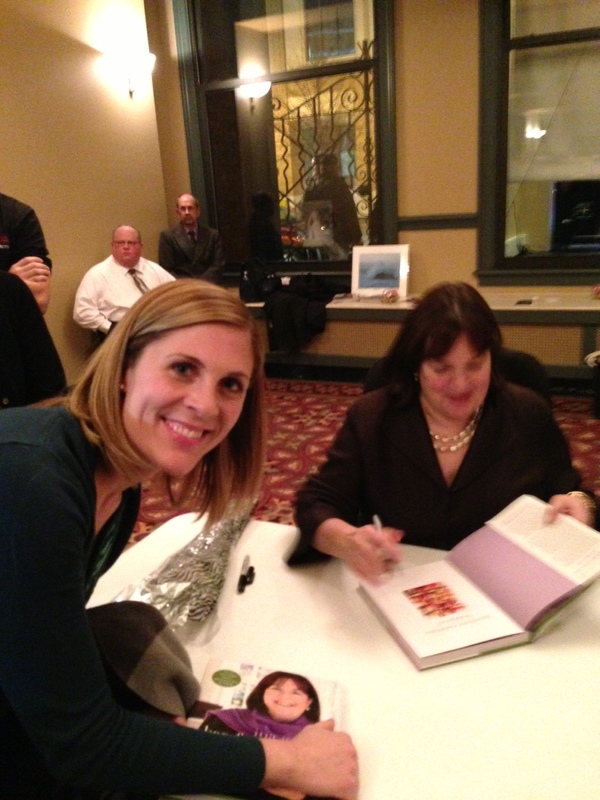 After the show, it was extremely crowded but I made my way to the book signing line and my Mom tried to frantically snap a few pictures. 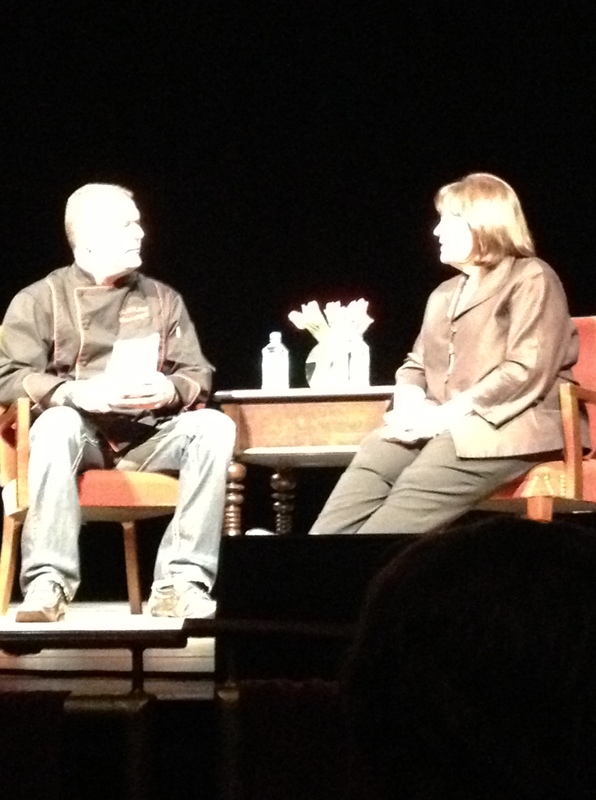 She seemed very kind and we were so happy to be there. 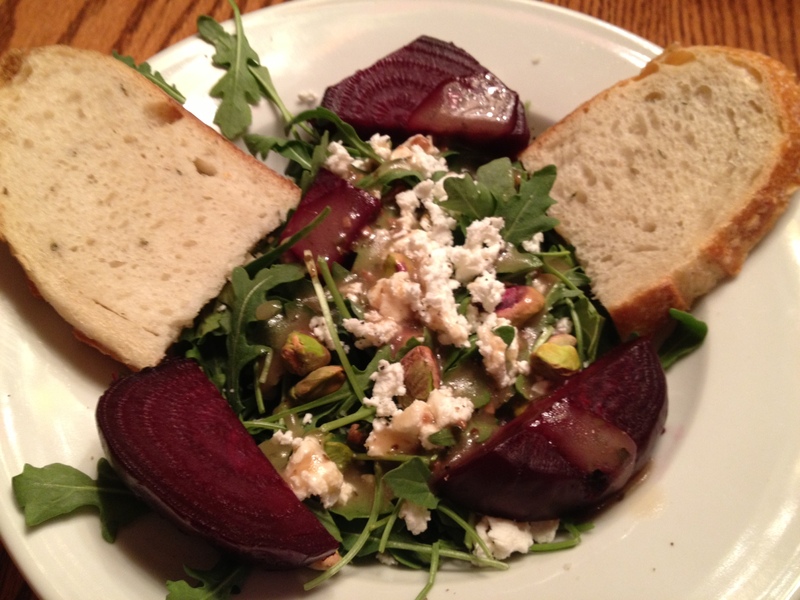 Tonight, dinner was sort of inspired from Ina’s new book, “Fool Proof” with her beet salad. 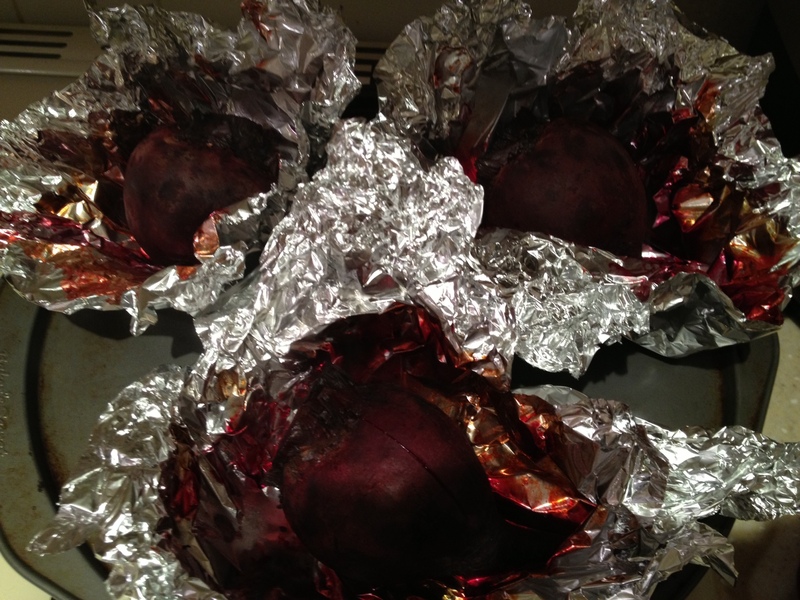 Tonight was the first time I’ve roasted beets and it went well! My salad was on arugula with goat cheese, pistachios and a vinaigrette. Probably my absolute favorite salad ever. They can be messy, but I didn’t stain my hands too much. 400 degrees for the oven and I scrubbed the beets and cut off the ends. I put them in foil and roasted them for just under an hour. When you take them out, open up the foil and let them rest for a bit because they are HOT. Then, cut off the outside skin and cut them up! YUM! 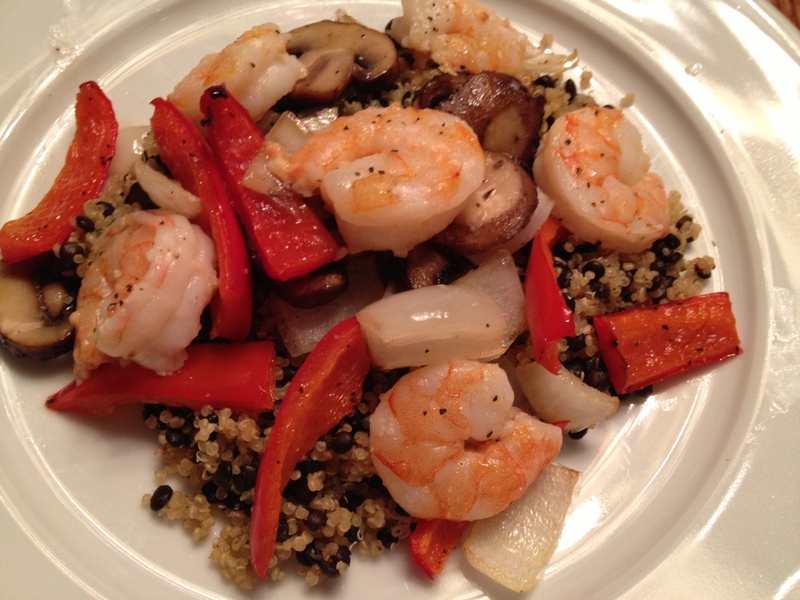 After the beets were out of the oven, I roasted red peppers, onions, mushrooms and shrimp. I marinated the shrimp in garlic and lemon juice and then tossed them in olive oil, salt/pepper and a little parmesan cheese and put them in the oven for 10 minutes. The veggies took about 25 minutes and I kept the oven on 400. I put all this on a mixture of quinoa and black lentils. I was feeling super healthy and happy to have leftovers for lunch. I also ran 6 miles on the treadmill this morning and thought I was going to die. I had music on, but no TV and I can’t run that long on the TM without tv! I need to get my laptop set up down there or something.